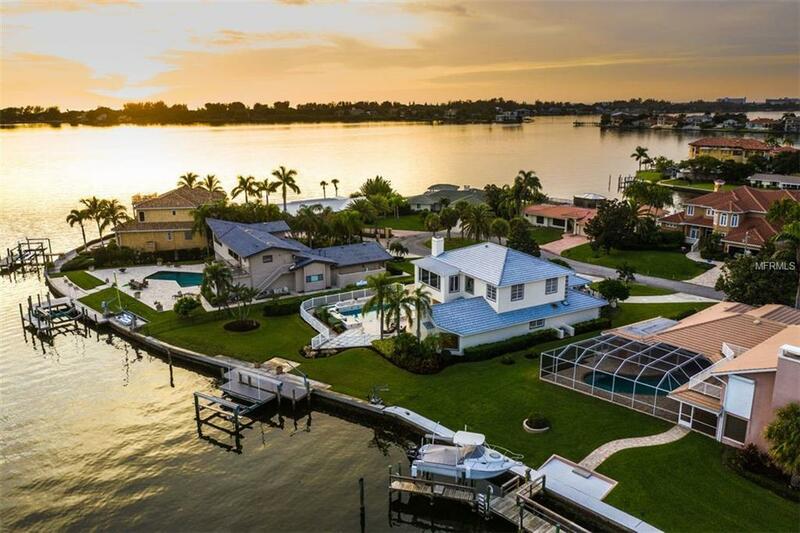 This is an enchanting waterfront residence, with nearly full bay views and a major renovation in 1992, then topped off with many upgrades in 2018. Amazing new kitchen, new appliances, new laundry, interior & exterior paint, carpet. Tile roof was replaced in 2016. 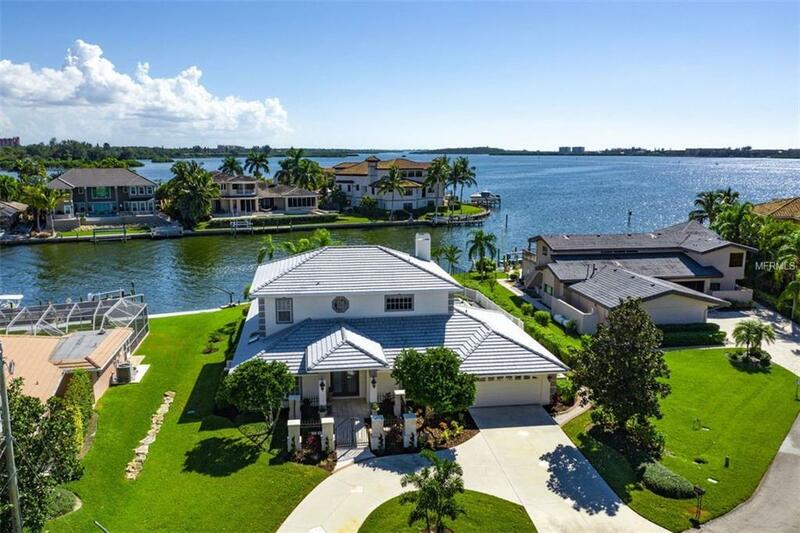 Poised in an exceptional mainland location, just minutes to powdery sands of Siesta Key Beach, shopping and restaurants with quick access to downtown and cultural amenities of Sarasota. Stunning statement of refinement with incredible curb appeal, circular drive and newly updated lush landscaping. Charming courtyard entry, to double door entry leads to breathtaking bay views from your initial step inside. 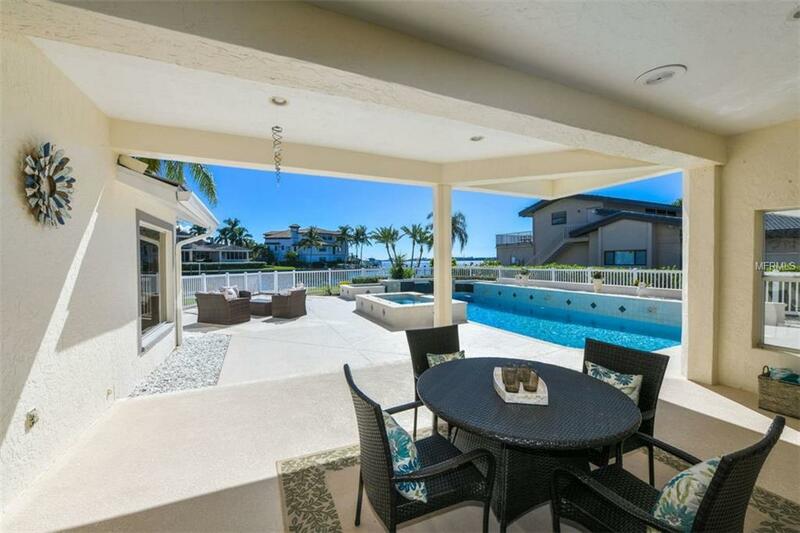 The large living/dining is adjacent to a spacious covered patio with coveted southern exposure views of a massive 16x35 sparkling pool and spa, which was just redone with new marcite & beautiful slate and tile features. En-suite bedrooms, a large family room with wet bar, fireplace and exquisite views on the main level. Upper level 22x23 Master has large closet with laundry shoot to lower level, spacious master bath, and unforgettable views. Additional bedroom and den/office complete this level. The back pool area is the crowning jewel of this exquisite home. It is so tranquil that you can sit on the dock and hear the manatee and dolphin exhale. Boating to the ICW or Gulf in minutes from a large dock with new decking in 2018 and a 27,000 lift from this exceptional waterfront location.